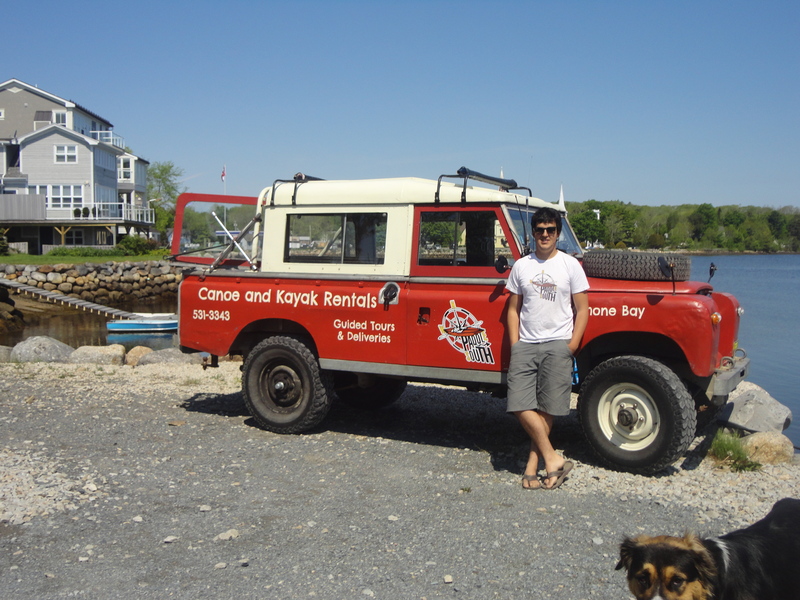 Patrick South uses his 1961 Series II Land Rover to deliver kayaks and paddle boards for his rental business in Mahone Bay. This land rover has quite the history. He and his dad built this together when he was around 13. The land rover caught fire once and the rover sat idle until Patrick rebuilt it again. The land rover is a land mark near Patrick’s rental business and by his sister Rebecca’s café that is located next door. The two young siblings are quite entrepreneurial and adventurous. “I may take the land rover to Mexico,” Patrick said and I don’t doubt he will!